To purchase tickets, click on the link at the bottom of this page. 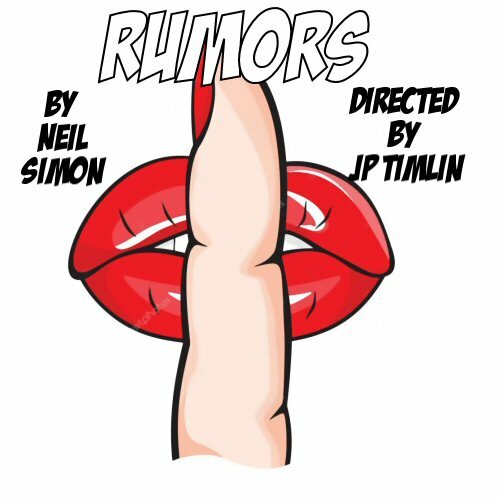 “Rumors,” is a madcap, slamming door farce set in a large home located just outside of New York in the year 1988. The characters are arriving as guests at a 10th Anniversary Dinner. The ﬁrst couple to arrive discovers that one of their hosts (Charley) has apparently attempted suicide...unsuccessfully. Charley’s wife, Myra, is nowhere to be found and neither are the servants. As more guests arrive, there are cover-ups, deceptions, mistaken identities, and a lot of huge laughs.